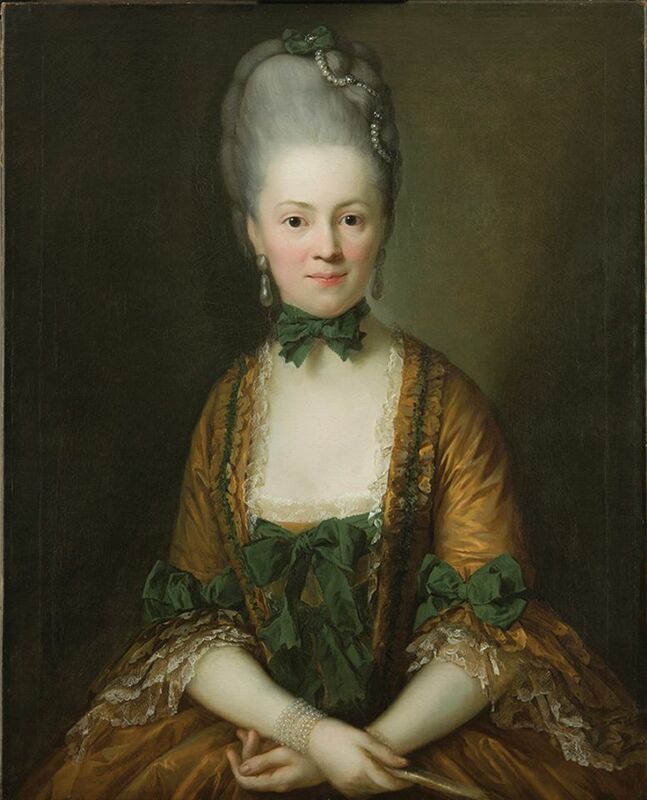 Anton Graff’s 1772 portrait of the Saxon noblewoman Henriette Caroline von Carlowitz, resplendent in a gold dress with green bows and delicate lace trim, had been in private ownership for 250 years. It hung in a stately home and was subjected to restorations of varying quality before Berlin’s Alte Nationalgalerie received it as a gift in 2014. The restorer Kerstin Krainer has now returned it to its original splendour and has curated a cabinet exhibition at the museum to showcase the painting and her four-year project. It is the first time Henriette has been shown in public. After the exhibition, which runs until 6 January 2019, the portrait will join other works by Graff on the third floor of the museum. Swiss by birth, Graff (1736-1813) was the painter to the Saxon court, renowned in his lifetime for his empathetic portrayals and perhaps best known today for his 1781 portrait of Frederick the Great. When Henriette’s portrait came up for auction at the Berlin auction house Bassenge four years ago, the Alte Nationalgalerie wanted to buy it but didn’t have the funds. Christoph Müller, a collector of Dutch and Danish paintings, jumped in to buy it for the museum. Krainer’s research­–using microscopes, infrared reflectology and radiography, ultraviolet and X-rays–revealed five previous generations of restoration, the last more than 50 years ago, and a thick layer of grime. She also uncovered some interesting details about the provenance and production of the painting. 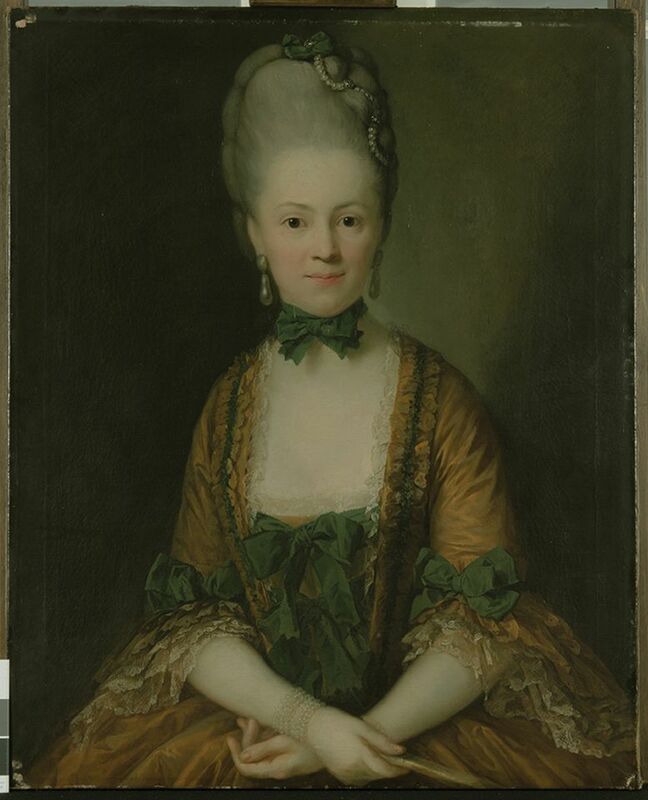 The portrait shows Henriette’s face in full frontal, though her body is slightly angled. An analysis of the underdrawing revealed that Graff turned her upper body marginally while painting to give the 21-year-old sitter more energy and dynamism. Graff’s portrait of Henriette’s husband, Georg Heinrich von Carlowitz, hangs in a museum in Wroclaw in Poland. Both works were given an extra layer of canvas backing some time after 1875, as revealed by a date on the back. Auction catalogues reveal that they were separated by 1931. Krainer’s careful removal of layers of yellowed varnish “made a major difference,” she says. Henriette’s skin-tone changed from a mellow brownish-yellow to a milky white. Gentle pinks in her complexion emerged. “It’s an exciting moment,” Krainer said. She also removed overpainting that was in part heavy-handed and carefully retouched the damaged areas underneath where necessary. She sprayed a layer of varnish on the result. “We try to do it as thinly as possible,” she says.